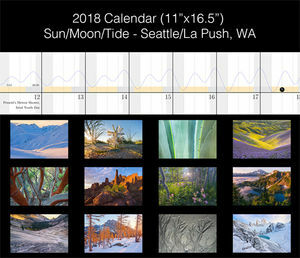 With unsettled forecasts throughout the Cascades a few weeks ago, Aubrey and I abandoned our hopes to do a week long trek across the Cascade crest and instead headed for Bugaboo Provincial Park in the Purcell Mountains of British Columbia. Normally one does not go to the Bugaboos to escape weather, since they are notorious for having a micro climate that brings clouds, wind, rain, snow, and lightning on nearly a daily basis. Dealing with that kind of weather from a comfortable and safe base-camp, however, sounded more appealing than being up to 3 days away from the nearest exit. 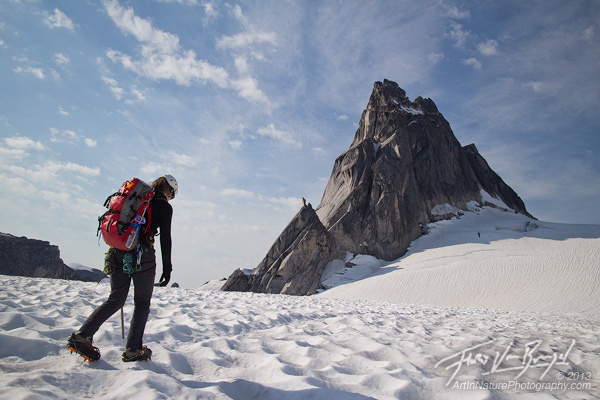 The Bugaboos are a (perhaps THE) destination for alpine climbing, with several massive granite spires that rise almost 3,000 feet above the surrounding glaciers. This, of course, is why we wanted to go – Aubrey to climb them, and me to photograph them (and climb some, too). This meant a big pack. A very big pack… about 85 lbs, each (I rarely weigh my pack, but usually it is 30-50 lbs)! Knowing what we know now, we could have left a few things behind, like pickets (glacier snow protection, which this time of year was, apparently, not necessary) and several days of food (you can count on getting several days worth food from climbers that decided to leave early). 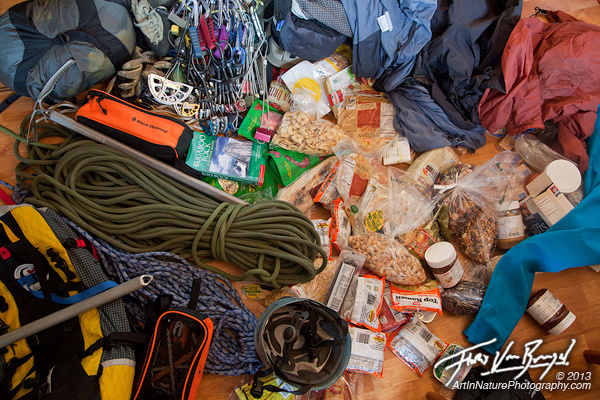 A small selection of the gear and food that will end up in our packs. 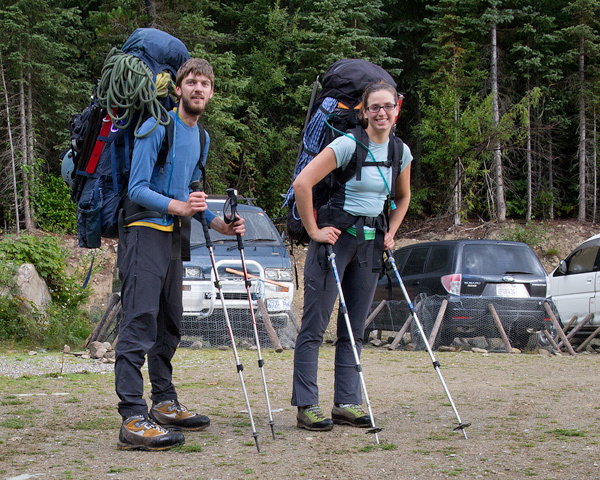 Ready to hike into the Bugs with our 85 lb packs! After a 10 hour drive we arrived at the parking lot. First order of business: porcupine protection. Supposedly if you do not fortify your vehicle with chicken wire, wood, and rocks, they’ll chew up your tires and fuel lines. 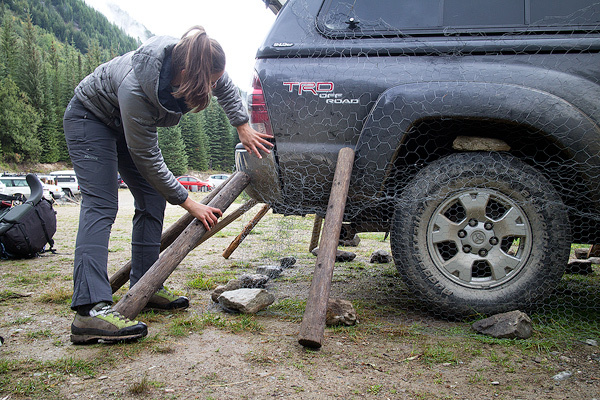 Aubrey puts the finishing touches on our chicken wire barricade, to protect against the rubber-hungry porcupines, which will otherwise destroy your car. In classic northwest style, the trail doesn’t mess around. In just 3.5 miles you gain 3,000 feet, from the lush green temperate forests to the austere alpine environment of glaciers and granite spires. The origin of these spires dates back to 135 million years ago, when a hot molten magma began to work its way up into the crust. Eight kilometers below the surface, however, it was stopped by the surrounding rock. Over the next 68 million years the magma cooled slowly, forming hard crystalline granite. Over the next 67 million years the surrounding rock was eroded by glacial activity, leaving behind the imposing statues of granite we see today. 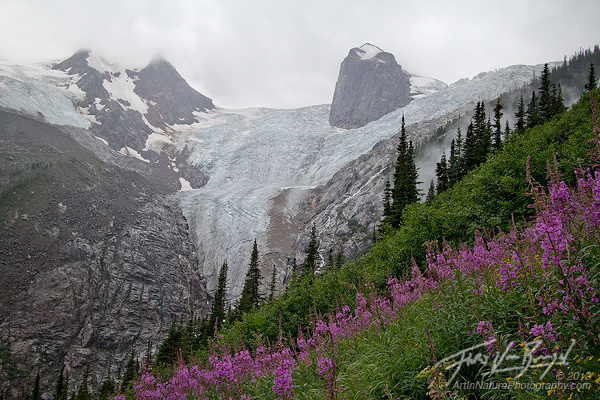 Hounds Tooth, glaciers, and fireweed along the trail. The Bugaboos were initially named the Nunataks, and explored for mining prospects in the late 1800’s. The “gold”, however, turned out to be pyrite and galena. The dismayed prospectors renamed the range to the Bugaboos, to reflect the dead-end claims. It didn’t take long before climbers became interested. In 1916 Austrian climber Conrad Kain pioneered his most celebrated ascent of Bugaboo spire, together with Albert and Beth McCarthy and John Vincent. At the time, forest roads had not yet been built, let alone a trail to the base of the glaciers, and the glaciers extended an additional kilometer from where they are today, making it one of the most demanding climbs in the world at the time. Although the access is much easier now, the mountains still demand serious respect and skill. 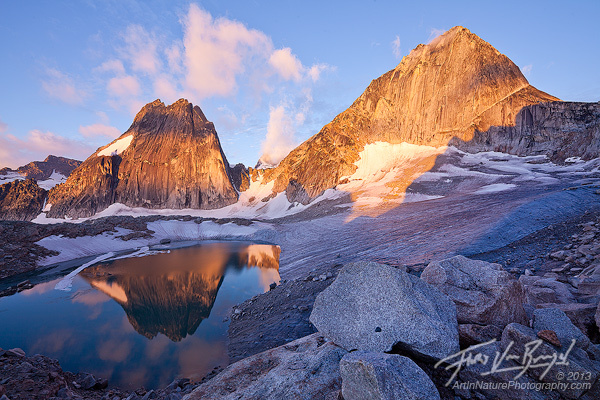 Snowpatch (left) and Bugaboo (right) spires rise above the crescent glacier in British Columbia’s Bugaboo Provincial Park, seen at sunrise. Though you can’t tell from the image, those peaks rise 2-3,000 feet from the lake, which is 100 feet below me! The forecast called for sun on our second day, but we woke up to the sound of pelting rain. 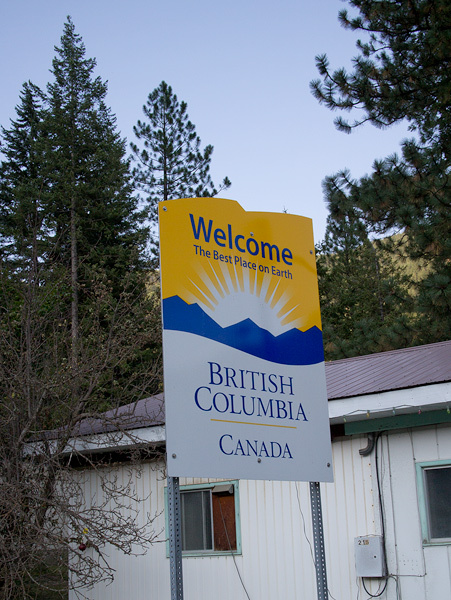 We were in the Bugaboos, after all; this was to be expected. A few hours later the rains seemed to have abated, so we had breakfast and packed up for our first climb. Only to have the rain start up again after hiking for an hour and getting our gear organized. We waited for 20 minutes, and the rain showed no signs of stopping. Back to the tent. Later that afternoon we were able to scramble up East Post spire just above camp. Aubrey, all racked up and ready to go when it starts raining. 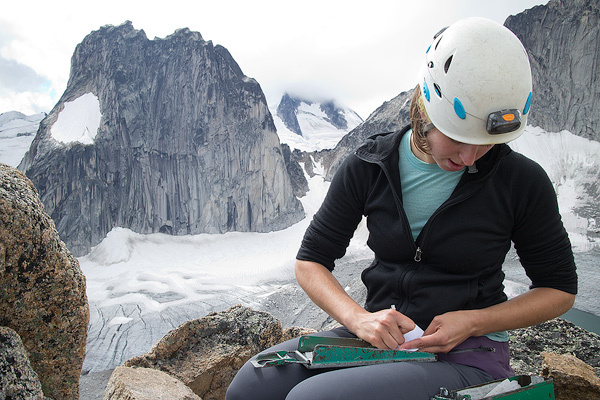 Aubrey, signing the summit register on East Post Spire. The following day promised to be the best, so we set the alarm for a 4:30 am alpine start. We awoke to clear skies and sparkling stars! After a quick breakfast we were on our way, scrambling up a 2,000 foot spire, racing the rising sun (actually, we made it with half an hour to spare). The view was nothing short of incredible. Inspiring. Immense. There’s just no way to appreciate how gigantic these mountains are in a photograph. 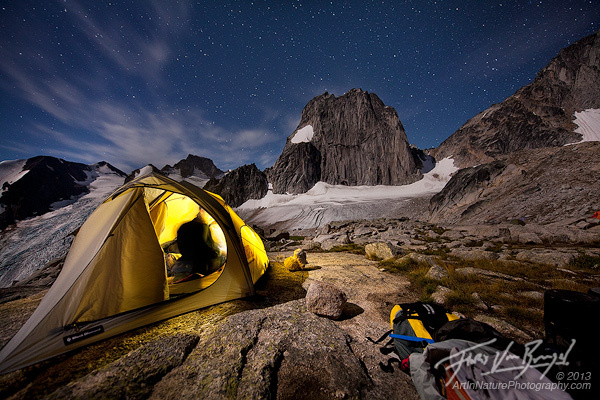 Getting ready for a nice day in the Bugaboos, at 4:30am. In the distance is Snowpatch Spire, illuminated with moonlight. 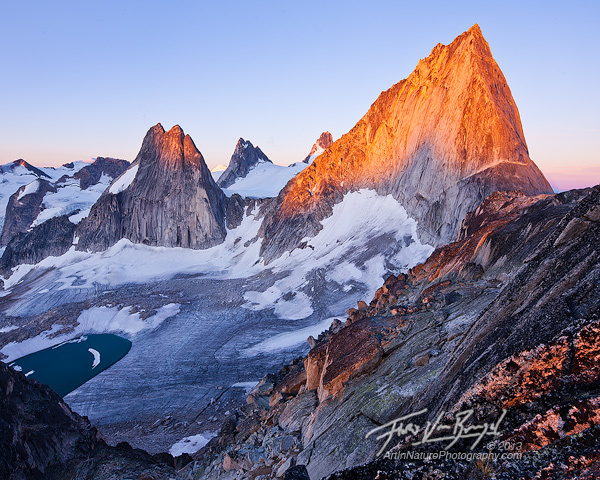 The impressive granite spires (Snowpatch, Pigeon, Bugaboo, from left to right) rise above the Crescent Glacier in British Columbia’s Bugaboo Provincial Park, seen just moments after sunrise. Although we had planned to do our next big climb the following day, we were worried the weather wouldn’t hold up. And it was such a glorious morning! So we doubled up. We went back down to camp, repacked, and headed out to climb the west ridge of Pigeon Spire – the middle pointy spire in the photograph above. Unfortunately everyone else had had the same idea. At one point there were three parallel ropes on the route! 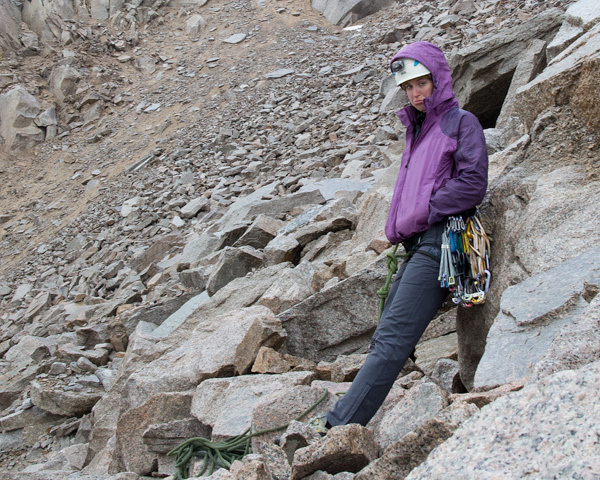 With weather approaching, we started making our way back before reaching the final summit. Aubrey, on the glacier headed towards Pigeon Spire. Aubrey, on Pigeon Spire, with a view of Bugaboo Spire (left). That evening the first rains of the next weather system came. Lucky for us we were cozy in the tent. Several other parties, however, were still out on the peaks – one party got their rope stuck and spent the night praying they would see the light of day. At 8am a rescue helicopter circled the area, but the climbers had managed to reclaim their rope and made it down safely. Next time they’ll be bring two ropes, I’m sure! With more heavy rains in the forecast, we headed back down to civilization. At the car we opened a beer… cheers to sunny days! 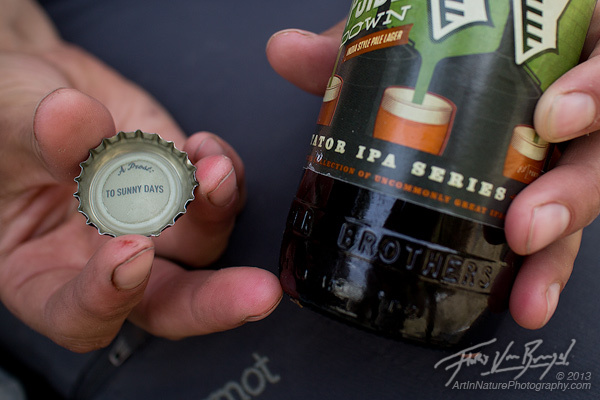 Back at the car, we open a beer and find the bottle cap says "A Prost: To Sunny Days"! What a wonderful adventure !! I have to get back to Canada (my former home and native land) to explore more. Your current adventure brought you very close to my home. I have yet to travel to Bugaboos Provincial Park but your photographs have me thinking this would be an amazing location to visit. I can’t say 85lbs of gear gets me to excited though. Beautiful images Floris. Looks like you got pretty lucky with the weather window. Heard lots of people got skunked this year.